Congratulations for a successful showing at the Commonwealth Games! In the near future, it augurs well for Indian sport that exciting young talent has come to the fore. For continued success, however, there will be a need to find talent consistently at the grassroots, starting with our schools. While the Khelo India School Games (KISG) is a step in the right direction, there are several steps that need to be executed with clarity and integrity for the Khelo India movement to gain momentum. The KISG needs to be far more inclusive: While the idea is right, and the beginning was well-executed, the number of schools participating in it was miniscule. The KISG was open only to CBSE schools. 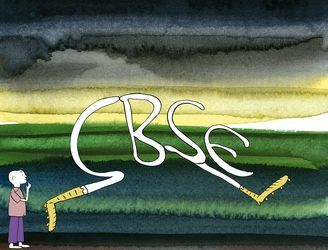 There are 17,093 listed CBSE schools, and only a fraction of them participated, making the overall participation less than one per cent of the 1.3 million schools in our country. Of the total number of schools, a million are state and central government schools, while there are around three lakh private aided and unaided schools. Why was KISG open only to CBSE schools when the mandate of the Khelo India scheme is to include all schools? I have been told that for the next edition of KISG, Kendriya Vidyalayas will be included. That is a step in the right direction. But there are only 1,125 KVs in the country! What about the rest of the schools that follow other curricula like the state board, ICSE and IGCSE? Surely, it is not Khelo ‘India’ if less than one per cent of the schools are represented at national-level games. How will you make Khelo India a true representation of India? This brings me to the second step. Who will bring in the schools? The role of School Games Federation of India (SGFI): Around 3,000 children participated in the KISG. Given the number of children in our schools, this figure is a nano drop in the ocean! Over the years, SGFI, like many other federations, has remained a highly ineffective organisation. They have not developed a strong network with schools, other federations, state-level local bodies and district-level organisations—so critical to reach out to children in the remotest areas. They have not created sustainable competitive framework for schools to participate in. It is no wonder then that parents prefer their children to pursue academics rather than waste their time on pursuing sport, which is, at best, a very long shot towards building a stable future. By now, SGFI should have had a multi-tiered framework that covered district, zone, state and national level competitions. Is SGFI the right organisation to partner with for conducting such an ambitious programme? On paper, they are the ones who should be doing this, but unless there is a drastic overhaul of their organisation capabilities, KISG will continue to scratch only the surface of the massive potential that exists in our country. Executing the 12 verticals of Khelo India: While going through the Khelo India website, I saw the overall vision broken down into 12 verticals. They are exhaustive, and the coverage is wide. The scope of work is humungous, and while most of these verticals have been addressed, albeit in a disorganised way thus far, a professional structure of effective execution must be in place. At the same time, I realise the challenge of trying to include all our schools in the country and the effort required under each of the verticals. Perhaps, what is needed is a nodal agency that can coordinate this effort. I have already shared the ‘Sport India’ presentation with you, which makes the case for such an agency. KISG is a cherished scheme of our honourable prime minister, and you being an Olympian and the sports minister of our country, we have, perhaps, the best opportunity since independence to bring about a much-needed turnaround for sport. Indian sport is counting on you!